A magnitude 5.3 earthquake struck off Taitung County Tuesday evening (image courtesy of Central Weather Bureau). 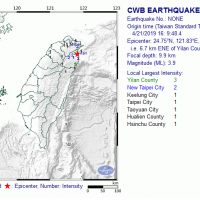 TAIPEI (Taiwan News) - A magnitude 5.3 earthquake struck off the coast of Taitung County at 8:16 p.m. Tuesday, but no immediate damage or casualties were reported. 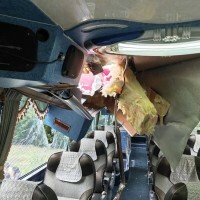 The epicenter of the quake was located 66.7 kilometer northeast of the Taitung County Government, under the Pacific Ocean at a depth of 33.9 km, the Central Weather Bureau said. 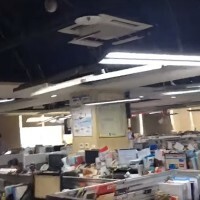 The tremor was felt in most parts of the island, including the capital Taipei. The quake’s intensity, which gauges the actual effect of the tremor, registered a 4 on Taiwan’s 7-tiered scale in Taitung County. 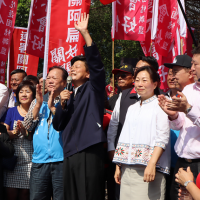 Hualien County, Taichung City and Changhua City registered an intensity of 3, the weather bureau said on its website. At 6:19 in the morning of the same day, a magnitude 4.1 quake had hit a location further to the south, 21.8 km east of the Taitung County Government.